Overseas Sector Skill Council Concept mooted for overseas workers , has been introduced, full fledge Overseas Sector Skill Council will be activated soon. 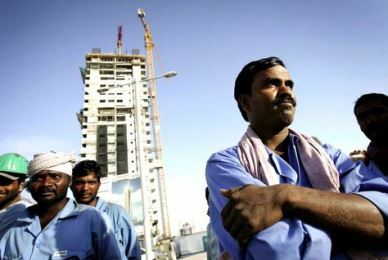 With a significant number of unskilled Indian workers facing trouble and legal action abroad, government has decided not to allow people without skill certificates to leave the country for overseas employment. Skill Development Minister Rajiv Pratap Rudy told the Lok Sabha that during his meeting with External Affairs Minister Sushma Swaraj, he was told that people without necessary skills were being sent abroad. He also referred to a case of an Indian driver facing the death row in Saudi Arabia after being involved in an accident. Replying to a private member’s resolution on a scheme for development of technical skills amongst the youngster, Rudy said the government has also decided that personnel who retire from the armed forces at an age of 40 years would be trained as ‘trainers’ or imparted other skills like entrepreneurship in the last years of their service. The minister said the National Skill Qualification Framework would ensure that the syllabi imparting training in various skills were standardized. He said while government sector has three crore jobs, the organized sector had one crore jobs to offer. Referring to skill development, he said 25 crore unskilled workers would have to be trained for which government may have to spend nearly Rs 5 lakh crore in the next five years. Government was looking at managing this amount from various sources like corporate social responsibility.